Visit Evergreen for our yearly Earth Day Plant Sale! We will have veggie and herb starters, hanging flower/fern baskets, and annual bedding flowers. 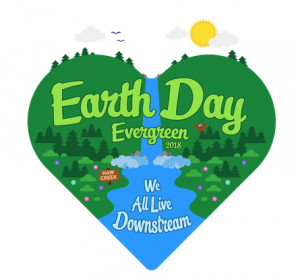 All proceeds will directly support Evergreen’s Environmental Education Programs. For more information or questions, please contact our Environmental Education Coordinator at marin.leroy@evergreenccs.org. After two years and at least four community-wide meetings centering around possibilities for a new library, community residents, at a fall meeting at St. John’s Episcopal Church, agreed that the East Asheville Library Friends’ chair would establish a small review committee to look at design options to be presented by architects and others in order to provide feedback. The chair, Emily Cooper, contacted five people who use the library for varied reasons, who have excellent professional backgrounds in library design, services and/or use, and who love libraries. On behalf of the review group, she also sought written suggestions from a teacher of differently-abled children, as well as the East Asheville Library staff. She is still hoping for input from area military veterans who are library users and might have special concerns. The new library will be built on the current site, books will be packed and stored. The City Fire Department will continue to utilize the Tunnel Road portion of the property. It is reported that the City –which owns the property– has been very cooperative. There recently have been some design and legal delays as the County and its contractors seek adequate parking, etc. A demolition date will be set in this year, but the actual construction will begin in 2019. Friends of the Library and others will be kept up to date as things progress. I appreciate you taking the time to provide feedback on the Draft Routing Recommendations from the Transit Master Plan. Below is some additional information on this issue which I provided to Steve and some of your other concerned neighbors. Please note that the plan is still being shaped and the changes that we are making based on public feedback should address most of the concerns that have been identified. Let me provide some additional information about why these recommendations were made, what the goal is, and how they have already changed based on public feedback. The Haw Creek Neighborhood is currently served by Route E2 once an hour on the inbound trip only; meaning a person must go to the end of Tunnel Road and back on each trip that they make to Haw Creek, which is a major inconvenience for riders and adds a lot of time to their commute. The average daily ridership in Haw Creek is low, and Route E2 has the worst on-time performance (OTP) of any route in the system; it arrives late approximately 50% of the time, which is also a major inconvenience for riders. The primary reason for poor OTP on Route E2 is that the route has too many locations to cover and can’t do it all in one hour, and that situation will be exacerbated as more development happens along Tunnel Road. The consultant team originally proposed to address this issue by reducing the number of Route E2 trips through Haw Creek to only peak times; this is what is currently shown on the Transit Master Plan website, and what was presented at our public meeting on April 26. City Staff feedback to the consultant team, as well as feedback from the public, was that this reduction in service was too severe and would not meet the needs of the residents of Haw Creek. So the Draft Routing Recommendations that were originally shared have already changed considerably. The team is now moving in a different direction with the recommendations that I believe will provide a better service to Haw Creek. The updates that the team is developing now would have a new bus route that would connect Haw Creek directly with downtown and would provide service every other hour. While this would be a reduction from the current hourly service, it will be a direct service so riders don’t have to go to the end of Tunnel Road like they are now, and it will allow more time to serve other areas in the neighborhood that were previously removed under the last Transit Master Plan, including Spruce Hill Apartments on Waters Rd. This most recent update should improve service to Haw Creek by increasing the number of people served by the bus, making sure the bus arrives on schedule, and providing a shorter and more direct connection to downtown. The Draft Plan will provide a detailed timeline for implementation, but any changes that are being proposed now would likely not happen until summer of 2019. I hope this information is helpful and addresses some of your concerns about the proposed changes. The Draft Plan is scheduled to be posted for comments on April 23rd and will include the updates that I described. The changes that are already happening are a direct result of the feedback that we have received so I appreciate you taking the time to reach out and discuss these issues, it is important to the process and is helping us make this plan better for the riders. If you have additional questions or comments, please let me know and I will assist any way I can. Thanks! The City of Asheville recently released their Draft Routing Recommendations for city bus service as part of their Transit Master Plan. These recommendations include reducing the bus service in Haw Creek to only four trips per weekday during peak hours. If these recommendations are approved, the only bus service to Haw Creek would be one westbound trip and one eastbound trip in both the morning and afternoon. There would be no weekend bus service in Haw Creek. To learn more about the proposed changes, please visit the City of Asheville’s website on the Transit Master Plan. These proposed recommendations would greatly affect many of our neighbors. The city is requesting public comment on these recommendations through Monday, April 9. Please contact Elias Mathes, transit planning manager, by phone at 828-232-4522 and email at EMathes@Ashevillenc.gov. You may use this ART Questionnaire to guide your response. Please share your questions and concerns about the reduction of city bus service with Elias Mathes (EMathes@Ashevillenc.gov) by Monday, April 9. Finally, we would like to share a letter we received from a neighbor concerned about how these proposed changes will affect him. I am writing to inform you of proposed changes to the Asheville Transit services in Haw Creek, and ask you to take action on these proposed changes. 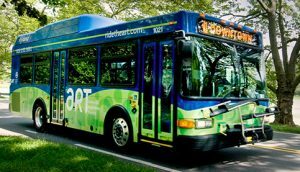 On Monday, March 26th, the City of Asheville presented a draft of the city’s Master Transit Plan to expand and improve bus service throughout the city. In order to expand city services, the plan includes reducing bus service in Haw Creek from fourteen runs per day (hourly daytime service) to four runs per day (two in the early morning and two in the late afternoon). In other words, the City is expanding services by practically eliminating Haw Creek’s services. Do you or a neighbor utilize the City bus service, even if not on a regular basis? Do you take the bus downtown to avoid parking issues? If you do, with the proposed changes, it won’t happen, unless you go downtown in the morning and stay all day. Being blind, I personally use the bus service on a regular basis. If the proposed changes go through, I will have no means of independent travel other than taxi services which can get quite costly. That’s why I am asking you to take action to maintain bus service at it’s current level. Write to Elias Mathes, the Transit Planning Manager, and let him know that we in Haw Creek want bus service maintained at its current level. His email address is emathes@ashevillenc.gov. For more information on the proposed Transit Master Plan, please visit the website https://www.ashevillenc.gov/departments/transit/transit_master_plan.htm. Thank you for your attention to this very important issue for Haw Creek. Bus service is probably the highest level of service we receive from the City. Let’s hope we can keep it.